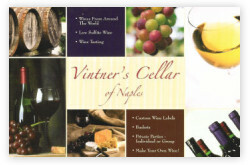 Gulf Printing & Thermography Inc. is a full service Naples Florida printing company that has been satisfying customers from all across South Florida since 1993, and we have earned the reputation of being one of the most respected printing companies in the area. Thanks to expert personnel with over 75 years of combined experience and state-of-the-art equipment we deliver high quality work that you deserve when you expect it. No matter what your printing needs may be, we will assist you in putting those ideas into print at a fair price. You will save even more money because you will always work directly with the owner, avoiding the commissions that would be paid to a sales force. We fully understand that our business depends solely on one thing, and that is satisfying the needs and wants of each and every customer with the highest quality work possible. That is our mission and that is our goal. To simply state our mission and goal however is not enough. In the printing industry, state of the art equipment is a must, and we recognize the importance of keeping up with technological advances. As a result of this we have invested in a five color sheet fed Heidelberg press, and have the capability of printing a 23” x 29” sheet of paper, one of only a few companies in the area that can do this. We are also the only printing company in Naples Florida that has equipment to produce the finest themographed business cards, stationery, announcements, and other business products for the printing trade. Thermography is a finishing process that has a similar result as steel-die engraving without the impression on the back. After offset printing, while the ink is still wet, a fine resinous powder is applied to the ink. Glossy or dull finishing powder may be used. The sheet is then passed through a heat chamber that fuses the resin into a raised image. This finish resembles engraving but is significantly less expensive. New to Gulf Printing is the Mako CTP system which delivers high quality, platesetting. The heart of the Mako CTP system is a totally new platesetter family using state-of-the-art violet imaging technology to provide high quality production and versatile plate handling. The imaging technology is the same proven technology used in the Mako imagesetter. Renowned for its quality, reliability, ease-of-use, and low maintenance, Mako imaging devices have been installed at over 10,000 commercial printers, trade shops and service bureaus around the world. Direct imaging provides first generation dots with enhanced definition at all resolutions and finer control over highlights and shadows. The advanced violet imaging technology delivers fast imaging speeds, razor-sharp dots and a choice of resolutions for job output up to 200 line screen with total confidence. Mako CTP platesetters are built to be flexible, delivering precise imaging on violet-sensitive metal plates for B3+ & A2/B2 page presses. Mako CTP systems can operate in manual mode or with an automated plate output transport to enable direct connection to an online processor. With a selection of resolutions, a choice of manual or semi-automatic operation and an array of flexible workflow integration options, the Mako CTP system can be configured for many different commercial applications. When a plate is to be imaged, it is loaded into the Mako CTP in yellow safelight conditions and registered to the pin-bar system. The pin bar is configured with the same notch positions as the press that will run the plate, ensuring fast in-register press mounting. This pin-bar system is interchangeable, allowing the same platesetter to be used for a wide variety of presses. We specialize in the following printing services: one to five color printing, carbonless forms, stationery, newsletters, booklets, menus, business cards, post cards, reports, manuals, promo cards, and catalogs. In a nutshell, whatever your paper printing needs are we can do it! 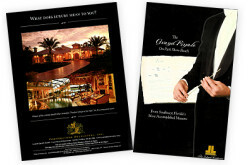 Booklets, often including covers are multi page informational documents typically printed in one, two or four color process. Reports, calendars, catalogs, journals, programs, magazines, pamphlets, and guides also belong in the multi page document category. Other multi page documents that include a cover, and are generally printed in one or two spot colors or full four color process are Manuals that are typically used for training purposes, and Directories that are used more frequently as informational pieces. Business cards, ideal for professional and social purposes fit into three unique categories including corporate business cards, personal business cards, and home office business cards. They consist of a single card stock sheet printed in one or two spot colors or in full four color process. Stationary and Letterhead usually printed in one color, two colors or full four color process represent the identity of a business and are typically produced on a high cotton content paper. Great for both professional and personal use, envelopes are frequently printed in one or two spot color inks or in full four color process ink. Catalog sheets, menus, flyers, data sheets, and sell sheets usually printed in one or two ink colors or in full four color process ink are sheet informational documents. Generally printed in one or two colors or in full four color process, brochures are single or multi sheet informational documents. Promotional cards, post cards, invitations and greeting cards are printed in one, two or four color process and consist of one cardstock sheet. To learn more about this Naples Florida printing company, and all of the printing services they provide contact them by calling the phone number listed at the top of this page.